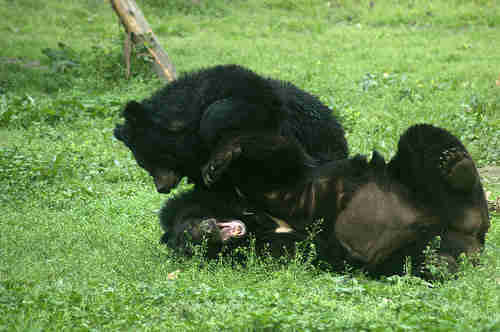 How's this for an adorable bonding session between moon bear best pals as they hug, wrestle and roll on the grass. The intimate moment was taken as Bodo and Monkey relaxed together at Animals Asia's Chengdu Bear Rescue Center. 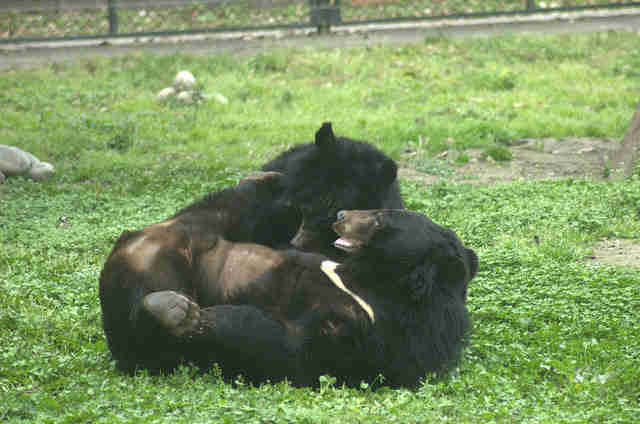 Life at the sanctuary allows bears rescued from the bear bile industry to reactivate their natural instincts after years and sometimes decades of abuse. Vietnam and China's bear bile industries see bears held in tiny cages so that needles can be inserted into their gall bladders to extract bile. The painful and invasive process will see many bears die of tumors, but some have been unfortunate enough to survive 30 years of this living hell. Once rescued, the rehabilitation process is long and requires constant care from a dedicated team of vets and bear managers. 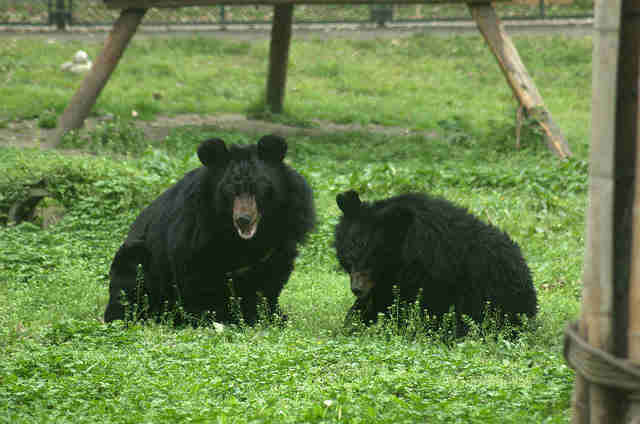 Animals Asia has rescued over 500 bears from the bear bile industry in China and Vietnam, and Bodo and Monkey are cared for alongside 245 more bears in Chengdu. And for the team at Animals Asia, catching moments of intimate bliss like this - of friendship, instinct and joy – makes all their hard work worthwhile. 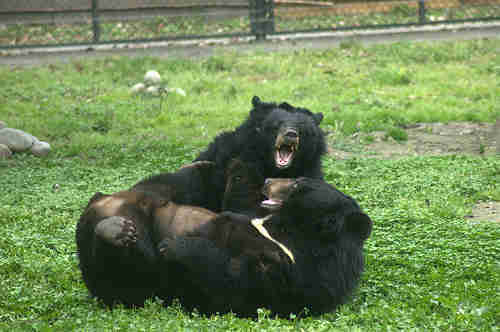 Hope you all have a fantastic day and give someone you love a bear hug they deserve this #MoonBearMonday.